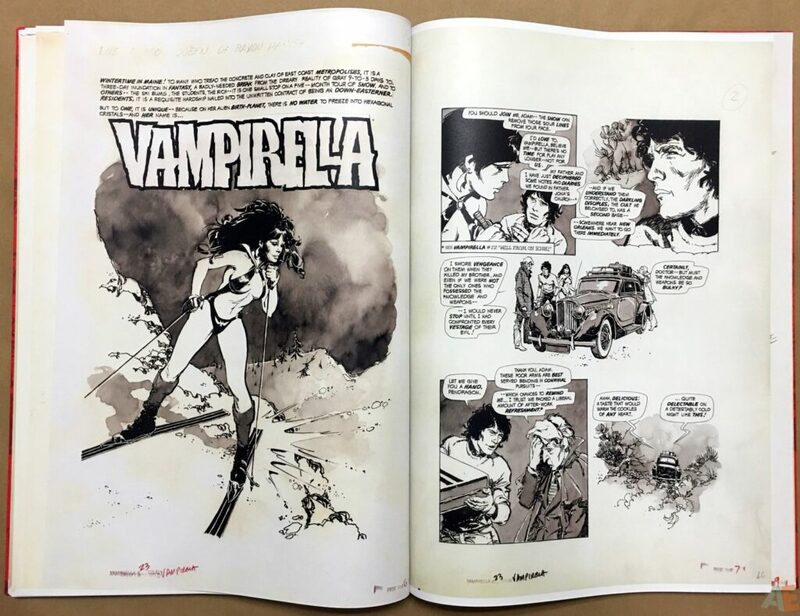 Celebrate the extraordinary work of Jose Gonzalez, an unparalleled master of horror illustration, with this gorgeous hardcover collection, presenting for the first time actual storyboard artwork spanning his years as the preeminent Vampirella artist! 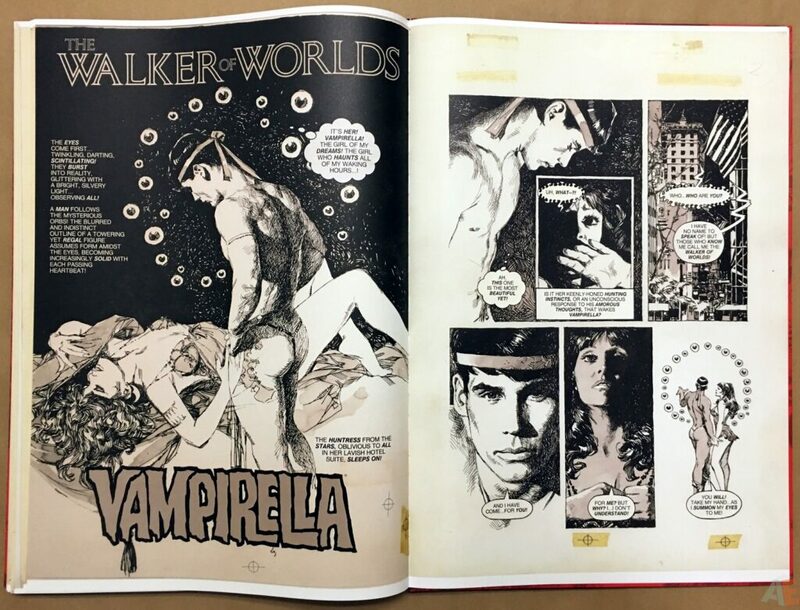 Eleven captivating and creepy tales appear in their entirety, stories ranging over ten years from Vampirella Magazine #15 (January 1972) to issue #112 (March 1983). 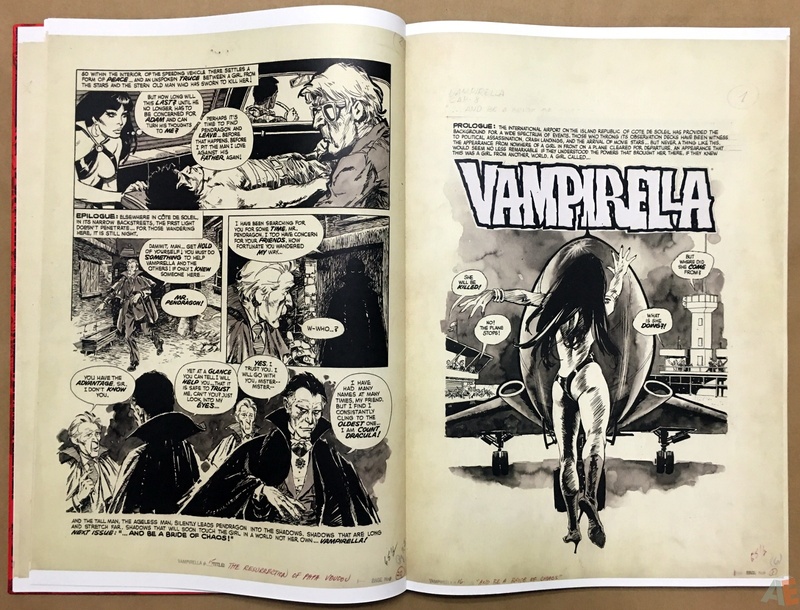 Scanned in high-resolution color and printed at original size, Jose Gonzalez’s Vampirella Art Edition preserves every detail of the artist’s meticulous skill and hard work, a true treasure for longtime Vampi fans. 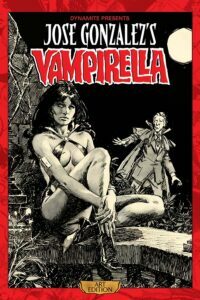 Includes stories from Vampirella 15-16, 19, 21, 23, 27-28, 37, 61, 108, 112. 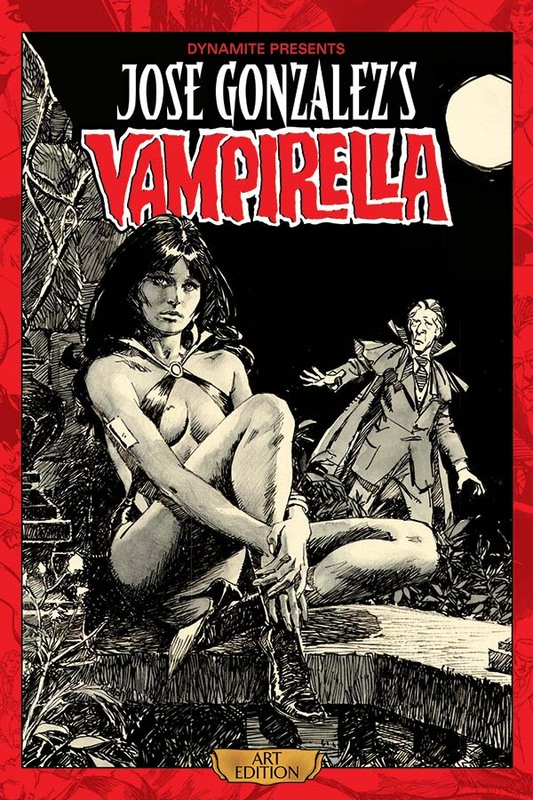 I’m not a Vampirella reader and didn’t know what to expect from this volume. To read through and watch Jose Gonzalez grow and mature as an artist is a wonderful treat; he was going from really good to great. As his style progresses so does his use of photo reference; by the last story it’s a jarring contrast. It’s a straightforward flow of introduction, story followed by story. 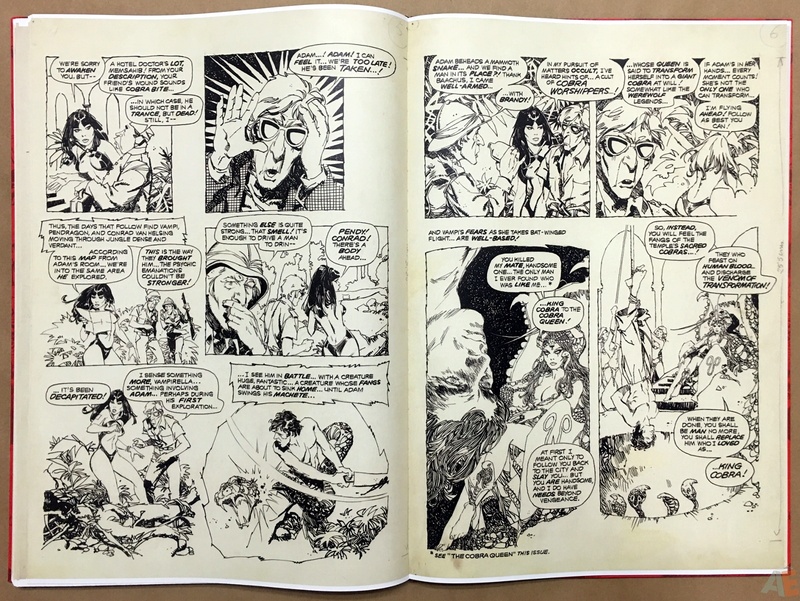 All the pages are scans of original art save for one splash, which is produced sharply at full size but stands out for the whiteness of the page; try and spot it below. The scans are very clean: sharp and crisp. 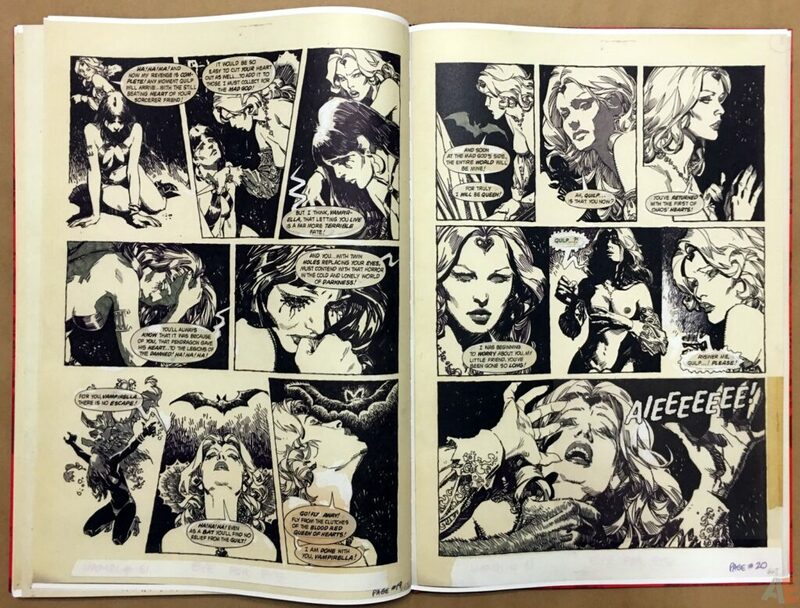 I was concerned because of my experiences with the Red Sonja volumes but without cause; this is as good as it gets. 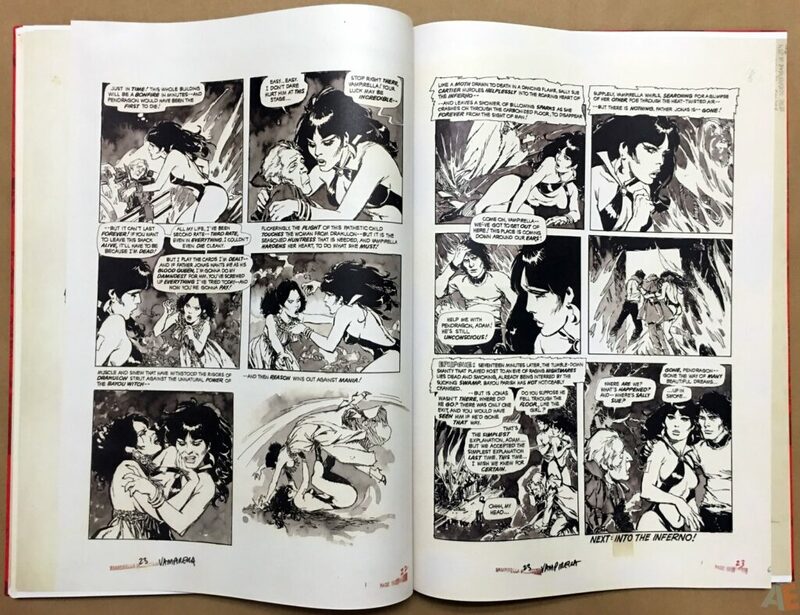 There’s a page with masking tape on the bottom corners and I touched it to see if it was on the page or the scan. 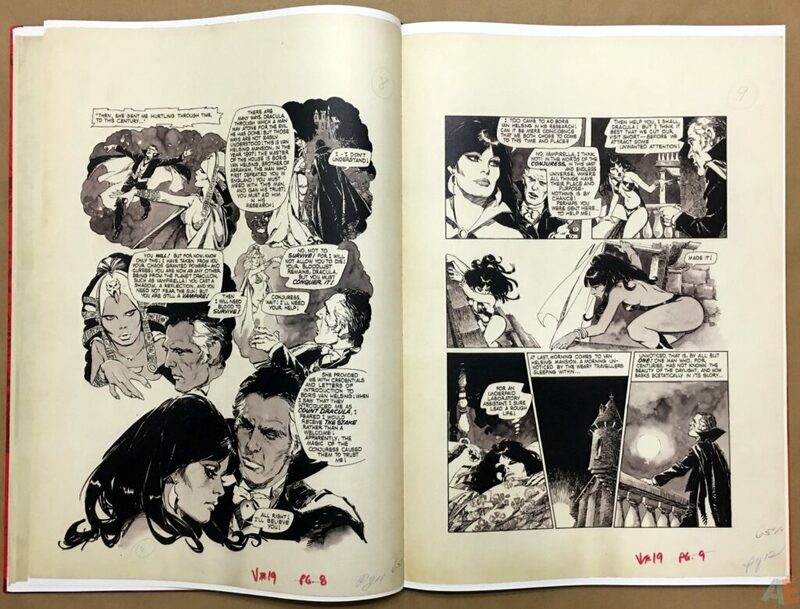 The blacks are mostly solid but gradients do come through at some points, but this may be more with Gonzalez’s varied mediums than scan quality. And those mediums really come through: pencils, inks, wash tones, toned markers, pens. Very little correction fluid used on the art; mostly to correct word balloons. 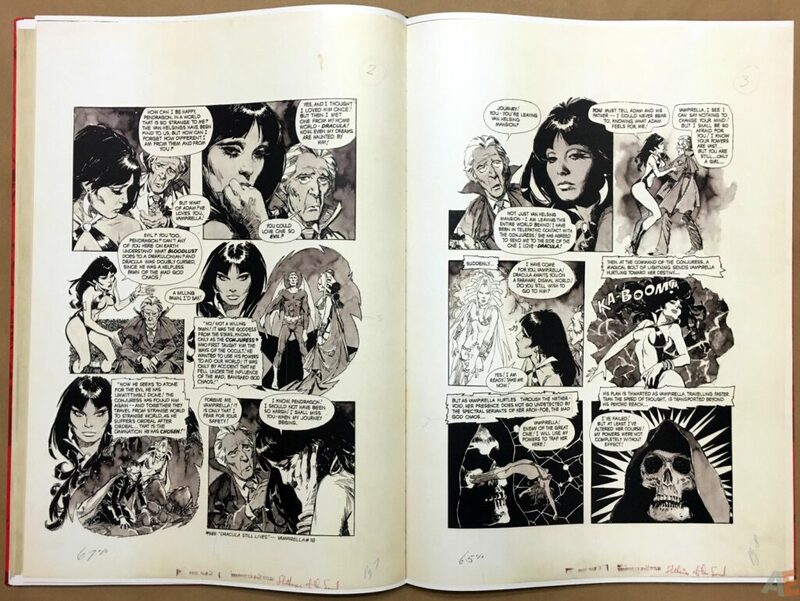 Most of the scans take the full page left to right with small borders top and bottom; I had to flip through the book again to find the few scans that are full page. 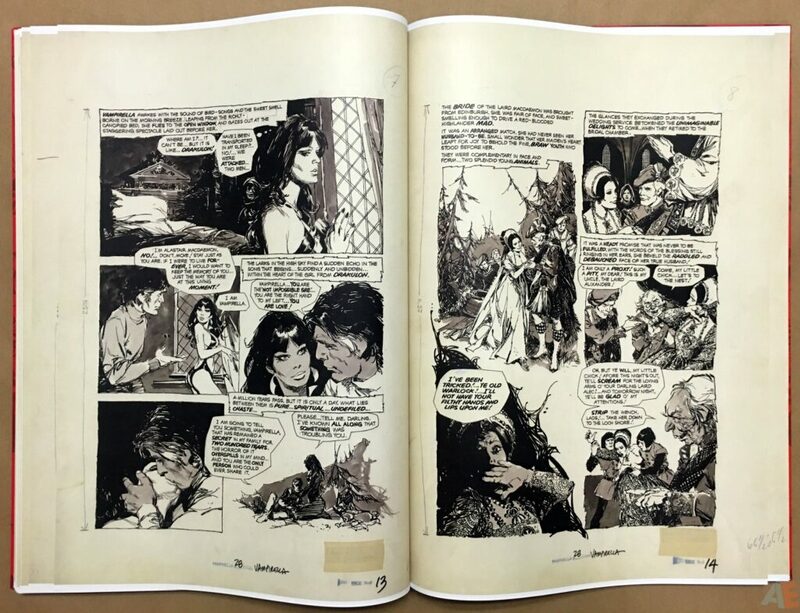 Most pages show normal aging but there are some that are very yellow brown. It doesn’t take away from the art, just shows it warts and all. 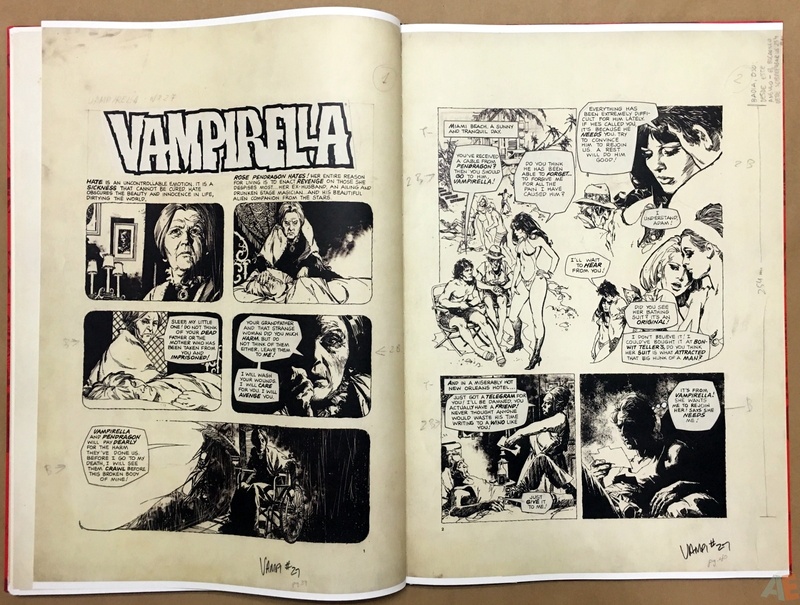 In the credits Mike Kelleher, Josh Johnson and Rodolfo Muraguchi are listed under “remastered pages” and outside of scanning the original material what else would they have done? 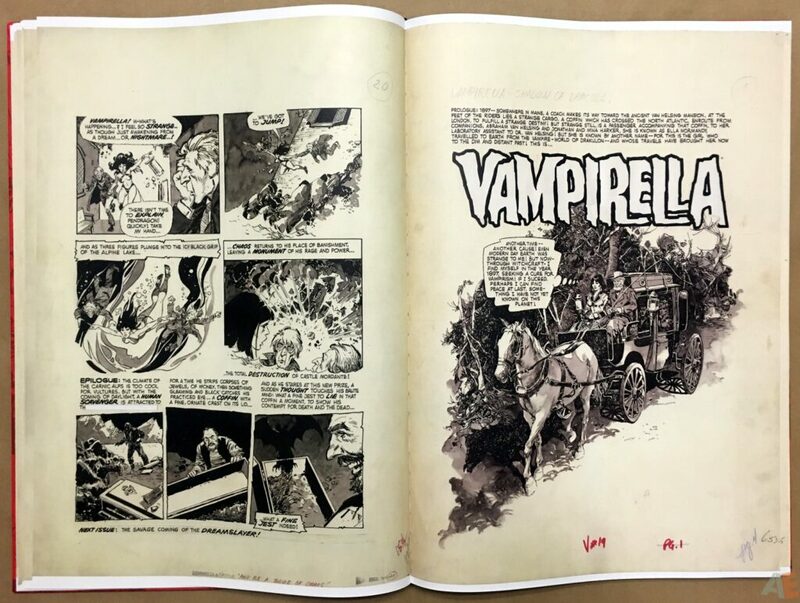 Also “additional lettering recreation” is listed to Marshall Dillon: is that darkening lettering for print? 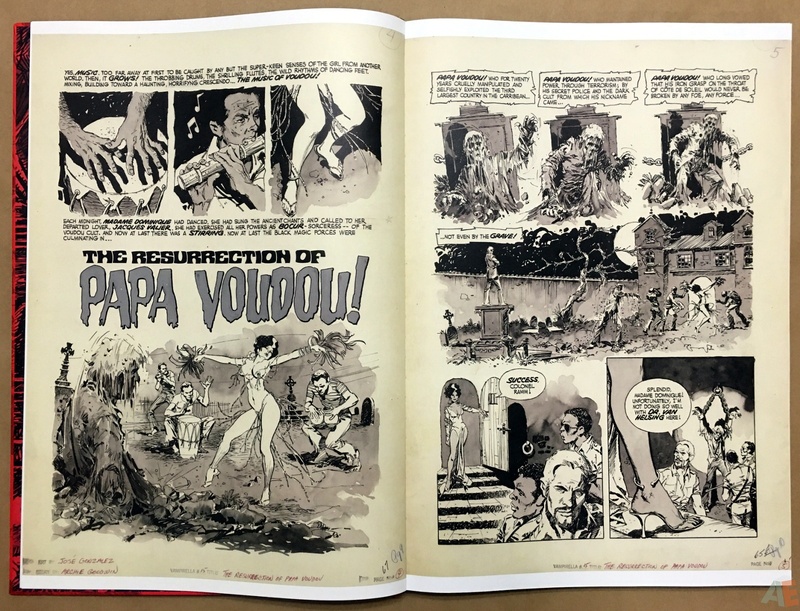 In the scans replaced lettering or missing lettering is present on most pages. Design by Rodolfo Muraguchi is clean, understated and puts the art above everything else. 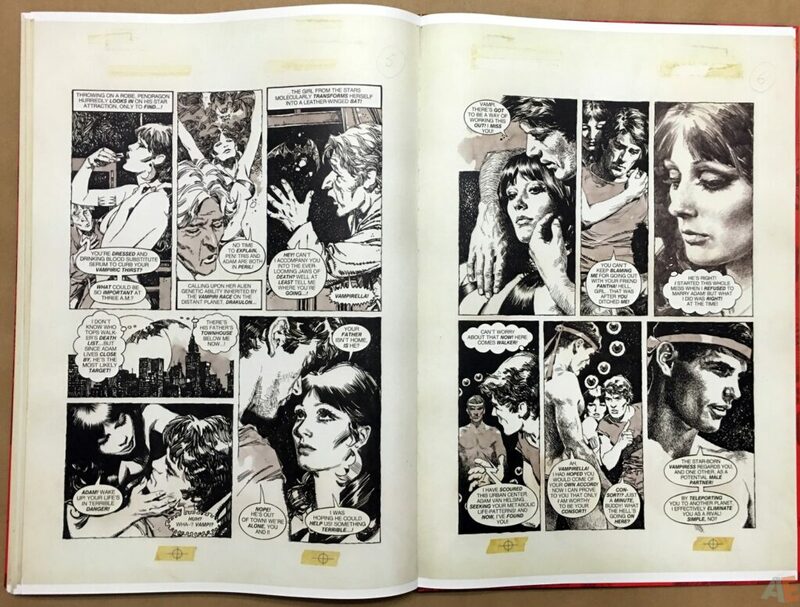 With the first three Dynamite Art Editions all Red Sonja I wondered what the book design would look like here, and it seems Dynamite has adopted the red outline on the cover as the standard, much like Dark Horse uses the brown. 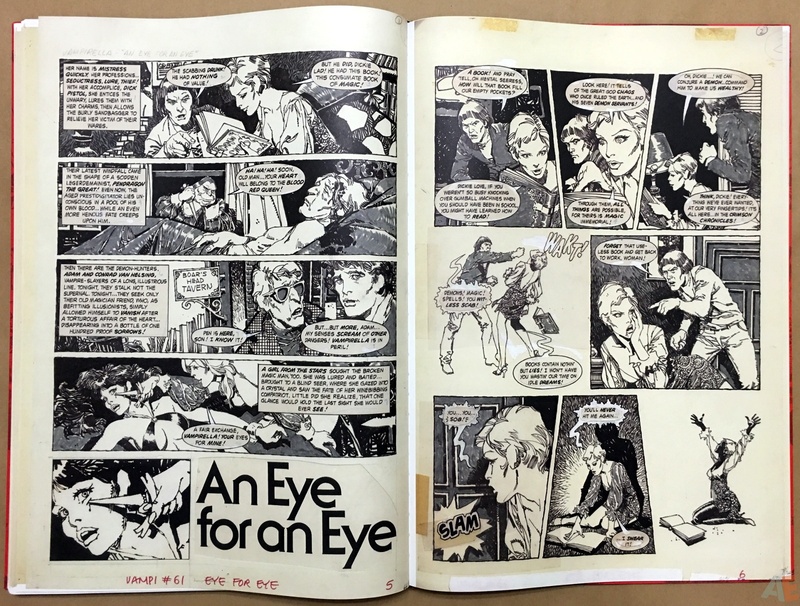 Red endpapers using the cover image, with additional red imagery opposite the title page. No chapter dividers, but the title page image appears at the end by itself, and it is an exceptional image. The index and biography are very clean and minimal, text on white backgrounds. Production is well done. The paper stock is heavy and matte but has a different feel than the IDW stock; no better or worse. The sewn binding allows the book to rest open flat with a little pressure along the spine. 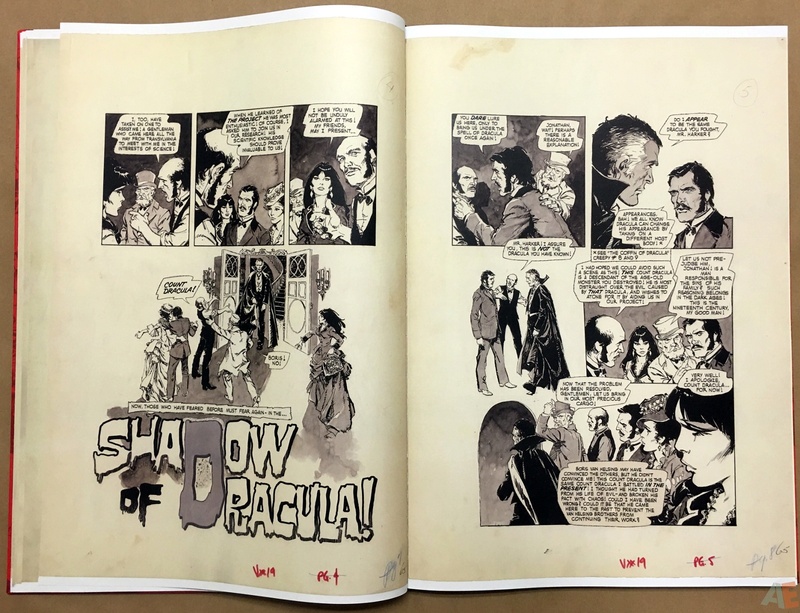 For extras we have a brief biography opposite the index page per Dynamite’s design, plus a detailed and indepth look at Gonzalez and his work in the form of an introduction by David A. Roach. 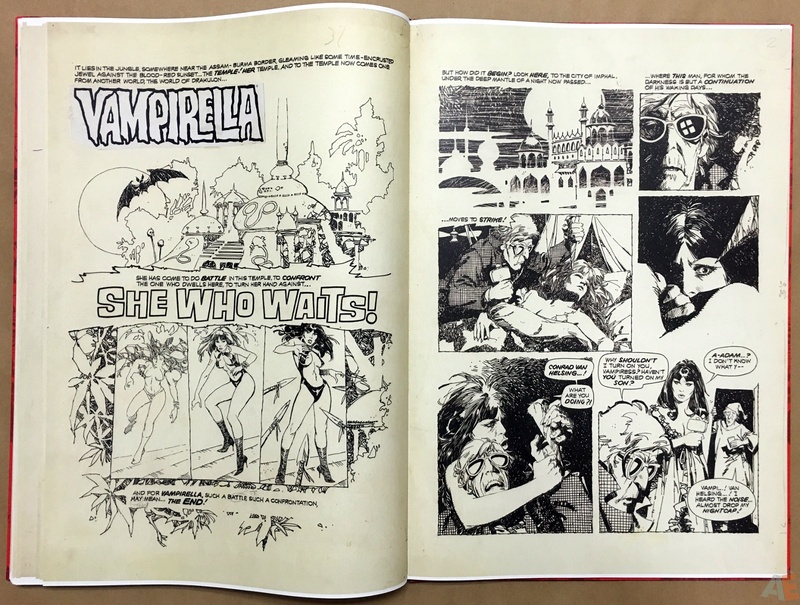 A short biography paragraph under his name at the end giving some information as to his Vampirella pedigree would have been helpful; he authored The Art Of Jose Gonzalez. 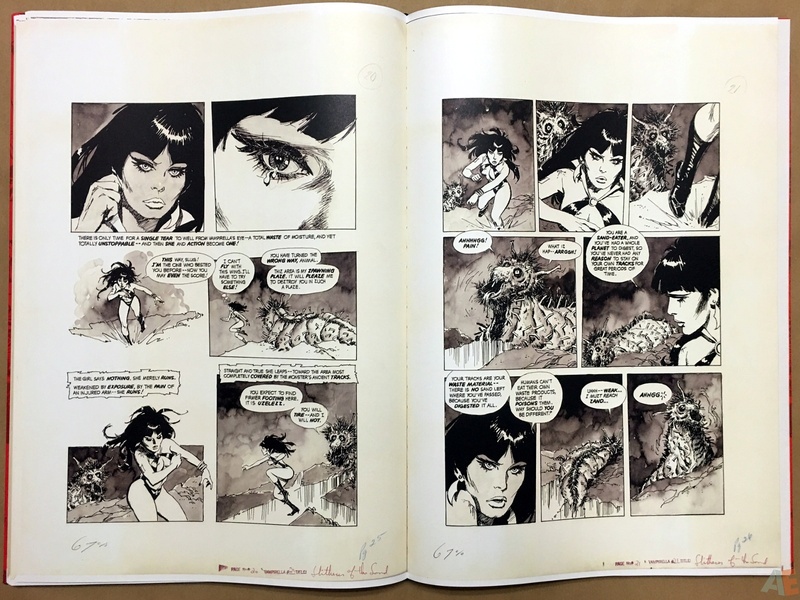 On the spine and in the indices we’re notified this is Volume 1, something never mentioned in the solicitation. Let’s hope for more to come.